Ivory with grain not visible. 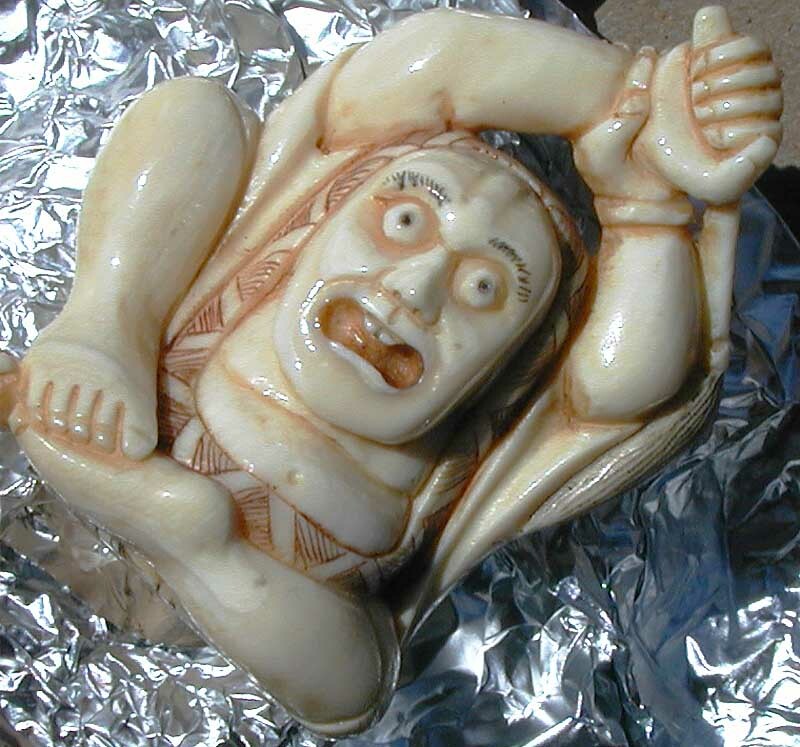 This is a fairly foolproof way to verify the authenticity of ivory. If this grain appears and disappears as the angle of the light changes, it is real. It is best visible in a dark room with a single bright light source. I did these in sunlight outdoors and rotated the piece between shots, so the effect was not the best. These pictures have the contrast increased to make the effect more visible. 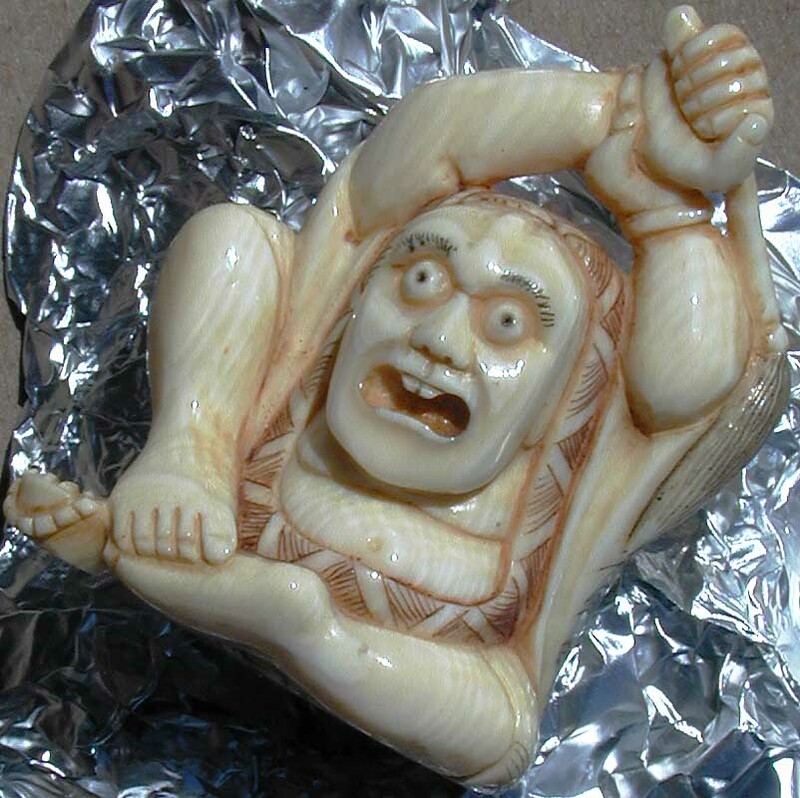 I have seen one piece of ivory that I'm fairly certain is real that I couldn't see this effect, so it might not prove that it's NOT ivory!